Morgan is talking about the present and the future of alternative aviation fuels, a revolution-in-the-making for the airline industry that is now metaphorically standing at passport control, eagerly waiting to be waved directly through to boarding. The aviation industry is focused on developing biofuel types that meet or exceed performance standards, are blended directly with petroleum jet fuel without any changes to the airplane or engine, and also meet strict third-party sustainability criteria. While there is strong demand by airlines for sustainably produced aviation biofuel, two challenges must be overcome to realize greater biofuel use: expanding the supply of approved biofuels and reducing the per-gallon cost to airlines. This is why Boeing and Neste recently announced that they will collaborate to gain approval for a high quality renewable fuel called HEFA+ - to be used by the commercial aviation industry. HEFA+looks promising as a “drop in” solution with petroleum jet fuel. It’s more price-competitive with conventional petroleum jet fuel, which is important to cost-sensitive airlines, and there’s a large existing supply of high quality renewable fuels made by Neste in Europe and Asia. 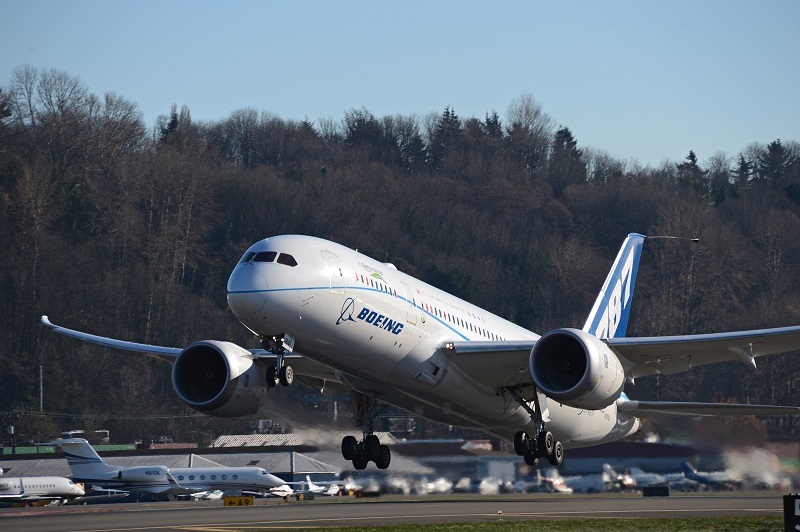 For both environmentally conscious and cost-conscious members of the flying public in the near future then, it is clear that Boeing, for one, is taking its commitments to sustainability and dramatic future reductions in CO2 emissions seriously. Boeing tests Neste Oil's NEXBTL renewable diesel in an airplane.